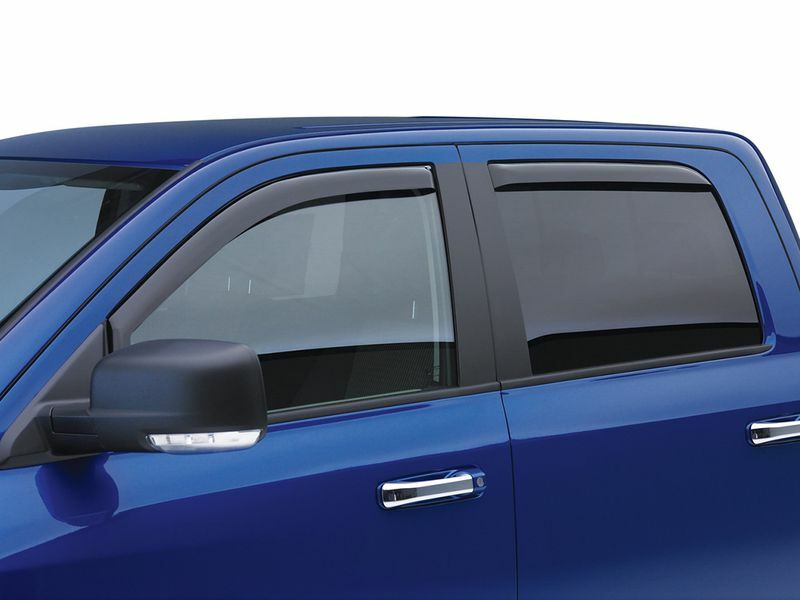 If having the ability to roll your windows down on rainy days sounds good, then our EGR Slimline in-channel window visors are the perfect accessories for your needs. They're equally useful for helping to block out excess sunlight on bright summer days as well, so you can drive in total comfort rain or shine. They also pack some sweet aesthetic benefits as well. EGR Slimline in-channel window visors offer a sleeker, more streamlined visual style than a traditional vent visor, making them the perfect choice for those looking for something different. They're an excellent way to add some extra pop to your vehicle's looks, adding both style and function to your ride. Installing your EGR Slimline in-channel window deflectors is also super simple. They slip tightly into the window channels in your vehicle's doors to provide great coverage without a lot of effort. Once you've taken them out of the packaging, you'll be ready to roll and roll in no time. Order your set of either two or four EGR Slimline in-channel vent visors today with total peace of mind thanks to EGR's limited lifetime warranty. This product offers an easy, at home no drill installation. The installation manual is clear cut and easy to read. For additional information, please see below. You may also call us toll free at 1-877-216-5446 or 701-253-5906. Please note: Keep windows in the up position for 72 hours and do not drive vehicle for four hours after installation.